Please note that this page has been moved to a new and improved site located here. Now featuring Tornado Alley storm and landscape photography workshops at reduced costs! Hello and welcome to Storm Chaser Tours! - NOW WITH 100% MONEY BACK STORM CHASE GUARANTEE! Breaking Chase Alert! January 22, 2014. Can't wait to go storm chasing? Want to go soon and chase a confirmed severe weather event or tornado outbreak? Well here you go! Special "Standby" Chase Adventures Now Available! You must be ready to chase 24 to 72 hours in advance. Available from from February 1, through June. If you would like to be placed on our notification list, please join my Twitter Account. Cost and terms are listed in the scheduling section below. Of our past six standby chase adventures, all have witnesses a one or more tornados! We are the only professional adventure outlet that offers a 100 percent money back guarantee if the chase is cancelled by us due to no severe weather! We will notify you seven to three days in advance if the forecast is a bust, and you will receive a 100% deposit or total (if paid) refund for your tour. You can also choose to apply the deposit to a future rescheduling if available. Why throw thousands of dollars down the drain watching clear skies, which often happens. Your chase adventures are private, one on one with Warren. You can now choose from regular storm chase tours or photography adventures at lower prices! We chase in a safe, modern and comfortable - genuine chase intercepter! -- NOT in crowded rental vans. You get the best view -- always! You are a genuine part of an actual volunteer chase crew, not just a tourist! (Participation is optional). Learn to photograph storms like a pro with an award winning photojournalist and extreme weather photographer. We always try to stay in the nicest lodging facilities in the area. (Some tours stay in lower quality lodging). Our "stand-by" chase option has a 100% success rate for tornado interception. We offer a no interest payment plan so you can pay for your adventure in advance! (Initial deposit still required). and tornado chasing volunteer 2005. "Warren is the Michael Jordan of chasing!" Dr. R. Moles. Executive tour 2005. "My wife and I had a nightmare experience with an upstart "storm tour" in 2004. One man in the van never showered and another reeked of cigarettes. Warren's adventure was a blessing. The front seat ride was well worth the extra money... like the difference between sitting in 22A on a 747 and being in the cockpit!" Mr. A. Brown. Executive storm and tornado chasing volunteer 2006. More testimonials from some of our past volunteers. 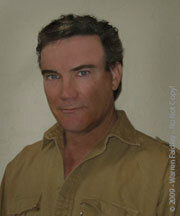 Warren Faidley was the first, full-time, storm chasing journalist, professional photographer and cinematographer. 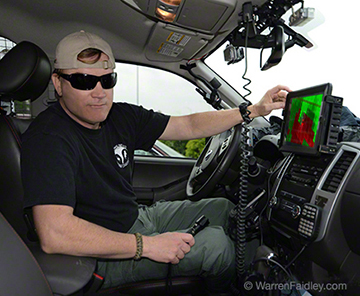 Warren is a 20+ year veteran of chasing some of the planet's most violent weather. He is a best selling author, award winning photographer, international lecturer and a foremost severe weather survival expert. He is one of the few individuals who has experienced both an F5 tornado and a category five hurricane. 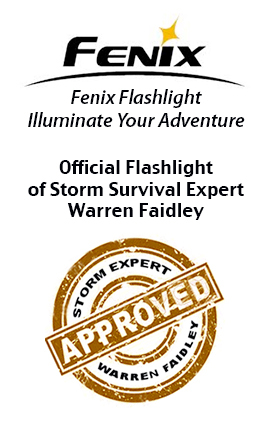 You have likely seen Warren featured on television specials and news programs like The O'Reilly Factor, CNN, The Discovery Channel, National Geographic and The Weather Channel. Unlike the sometimes reckless and dangerous chasers seen in the media, Warren is a responsible storm chaser. If you are unfamiliar with Warren Faidley, his background, credits and history, we urge you to visit his biography page. So you want to go storm chasing! The Central Plains tornado season will begin in late April and run through mid-June. Some dates are reserved well in advance, so please book soon to reserve the most popular weeks. Although there are numerous tornado tour and tornado holiday groups offering rides in vans packed with people, we are different. (You get what you pay for). Warren's adventures are private. If you are interested in a professional, hands-on storm chasing experience -- this is for you. As we are often told by past adventurers, the small extra cost to chase in a private setting is a smart investment for a once in a lifetime adventure. We generally limit volunteers to one per chase vehicle. With us, you will have a comfortable seat with a window view, as opposed to most larger tour groups that seat 9-12 people in a single van, often driving 300 to 500 miles per day! You will be able to ask Warren questions at any time. In addition, since our meeting, pick-up and drop off locations will be located in "active" areas, you do not waste precious chase days traveling to hot spots from distant locations. In fact, we can often customize your pick-up and drop off locations saving you multiple (wasted) days of driving. This single factor alone makes the extra investment worthwhile -- often turning a 5 day chase into a 6 or 7 day chase. In addition to this, we always try to stay in comfortable, higher end hotels when available. Since Warren makes his living by getting as close to the action as possible (in a safe manner), you are guaranteed the best chance of witnessing amazing events. Warren also offers storm and landscape photography adventures. Yes, we still chase storms, but the priority is storm photography and videography. On off days we will travel to scenic locations where you will have to opportunity to accomplish breathtaking images. The photography adventures are available during the tornado season in the Central Plains and during the summer monsoon in Arizona. Please note our guarantee of severe weather does not apply to photography adventures. Confidentiality and privacy is our specialty for high-profile clients and celebrities. Our clients have included sporting figures, actors, doctors, corporate CEO's and everyday people who want to do their lifetime adventure the right way. 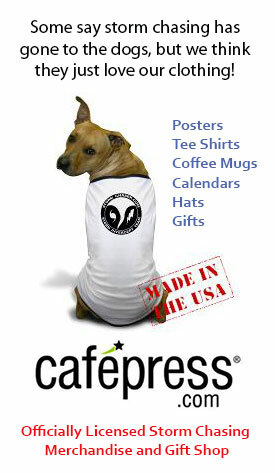 Our volunteer adventures are very popular as gifts to students and family members. 2: Springtime and summertime storm and landscape photography adventures. 4: Executive customized chases, education and extended storm chasing during and after the normal chase seasons. We are based out of Amarillo, TX, Denver, Colorado or Oklahoma City, OK. To be determined by weather patterns. Volunteers are required to arrive one day before the scheduled start date, and depart on the day after the scheduled departure date. (Monsoon chases do not require pre-day arrival). Some flexibility on noted dates can be discussed. Price does not include inbound or outbound transportation, lodging or meals. Lodging can be arranged for an extra fee. A 50% deposit is required to hold a date. (See terms of deposit listed below). To reserve a chase, please see the "reservation instructions" located at the bottom of this page. 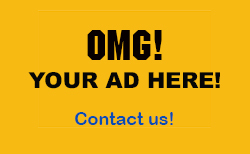 You can also call our hotline at 520 505-8702. Standby Tornado Chase Program: February 1 through June 30 -- With Warren -- Open as a "stand-by chase" only depending on severe weather opportunities. $4,999 for 4-5 days or $3,999 for 3 days or less. You must be ready to depart within a 5-6 day advanced warning and a 24-48 hour final notice. First come, first served when notified. We have a 100% tornado success rate with our stand-by chases. Standby chase arrival locations vary, but are usually based out of Amarillo, Texas, Dallas, TX, Wichita, KS, Oklahoma City or Denver, CO. If you would like to be placed on the notification list, please join my Twitter Account. Please note that this page has been moved to a new and improved site located here. Includes available chase dates. The Monsoon Photo Courses are based out of Tucson, Arizona, one of the top three "lightning photography capitals of the world." Includes one chase day with Warren, Saturday or Sunday depending on your schedule and/or weather. Includes extensive photography instruction, custom designed for the client's needs. Warren can cover basic photography, storm photography, lightning photography, storm chasing or a combination. Price does not include airfares, local transportation, sightseeing fares, lodging or meals. 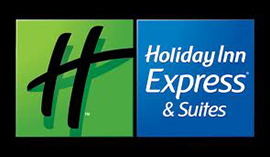 We can provide discounted lodging. Makes a great gift. There is a 10% discount for booking two or more people at the same time. A 50% deposit is required to hold a date. Limited to 2 people per date. Private, one-on-one courses available for an extra charge. Please visit our new and updated site at for updated scheduling. • Outbreak Day Chases. This opportunity may be the best way to witness extreme weather. We currently have a 100 percent tornado intercept record for this type of deployment. During potential, early spring tornado outbreaks (March 1 through May 1 only). You must be ready to go within 24 to 78 hours in advance. This is an excellent opportunity for those who can take a few days off with no advanced notice. Cost is $5,499.00 for 4-5 days and $4,499.00 for 3 days or less. Volunteers are placed on list and notified when potential dates are determined. A non-refundable deposit of $900.00 is required by credit card once the volunteer accepts the chase offer and the final payment is due when you arrive. Full refunds are issued if we cancel the entire chase. (Restrictions and terms apply). If you would like to be placed on the notification list, please join my Twitter Account. Please note that any storm chasing tour, tornado adventures, storm chasing holidays, storm adventures, tornado tours, tornado alley tours, tornado vacations, storm vacations, chaser tours, storm tours or similar activities are inherently risky, as there is no way to conduct this adventure without some level of risk, especially since weather events are inherently uncontrollable and can change with little or no advanced warning. Stormchaser® and Weatherstock® are a Federally registered trademarks for various services. $99.00 per month. Discounts for 6 and 12 months. contact Warren via email below. Sponsor or use Warren for Advertising!